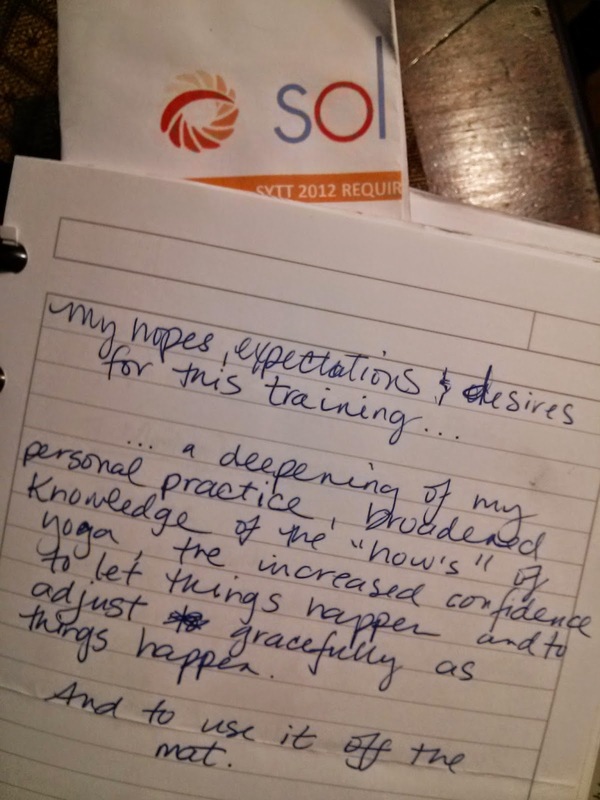 Two years ago I started my yoga teacher training (YTT) at Sol Yoga. This past weekend, another YTT class began. Witnessing the start of a new training class made me want to revisit my experiences as a new trainee. I took the training not to become a yoga teacher but rather to enhance my own personal practice. I assumed that training would help me learn as much as I could about yoga in an efficient way. The YTT curriculum was organized and structured so that I would not have to pick and choose workshops here and there to patchwork together my yoga knowledge if I tried to do it on my own. In truth, I had considered the YTT a full year before but made myself wait. I wanted to be sure that this was something I really wanted to do and was not just a passing interest or worse, a distraction. The years immediately prior were full of life-altering changes, loss and family crises; I considered that I might not be thinking quite clearly about things. So enrolling in YTT at that time might not be the right thing to do. I needed space and quiet contemplation to make the right decision. So I practiced for another year before making the decision. My first weekend of YTT was exciting. I felt like the curtain had been pulled back so I could begin to see the mystery that was behind each yoga class. There was something more to those postures and movements that up to that point I had not been privy to. Now, in YTT, the magic would be revealed. It would take eight full training weekends, 200+hours, many books, and countless personal practices, but I would soon know the secrets of yoga. Notice the last sentence..."and to use it off the mat." Off the mat is a big thing in the yoga world. It doesn't mean breaking out into Vrksasana (Tree Pose) in the grocery line every chance you get or upstaging a nine-year-old by showing off your flexibility at her birthday party. Off the mat means taking the knowledge acquired through self-study on the mat and using it in your daily life. On the mat, can you have patience with your body as it learns new patterns of movement and alignment? Off the mat then, can you have similar patience with your children as they learn new things? On the mat, can you honor your limits and be content with what your body can achieve? Off the mat then, can you be content with what is? Paying attention on the mat smooths out the edges when it really matters off the mat. There is an unending amount of technical knowledge about yoga: asanas (poses), alignment, styles, history, anatomy, breathwork, use of props, specialized yoga for almost every ailment or condition you can think of, the Eight Limbs, the whole world of Ayurveda and the list continues. 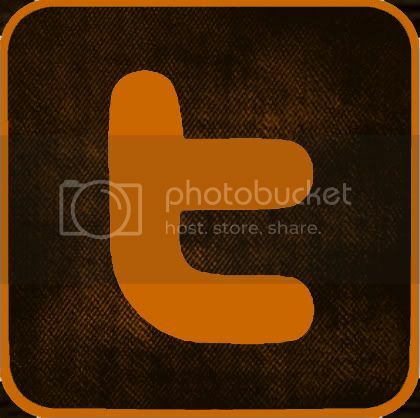 I learned a bit about all of that in my YTT and still have so much more to learn. The most important thing I learned through my YTT was not a technical aspect but rather something about myself: I wanted to teach yoga. That was not one of my goals at the start. But through the training and through my growth, I came to believe so deeply in the benefits of this practice that I found the need to share it. So now I teach a few times a week and I take that responsibility very seriously. Teachers create the space in which their students practice and learn. That holds true for yoga teachers, middle school teachers and everything in between. Teachers offer their students tools and experiences for learning and growth opportunities. That may sound lofty for just a yoga class but when you know that yoga is about more than flexibility and forgiving hamstrings, it fits. So next time your yoga instructor offers a moment of mindfulness as you hold Parivrtta Ardha Chandrasana for...e...v...e...r, tuck that bit of perseverance away for a raining day when you need strength and fortitude off the mat. In those moments, stay grounded, breathe, radiate from your core and find some place you can bring in ease. That's the secret of yoga revealed.